It’s June again, so it’s time for Apple to give the world a look at what it’s been up to and what we should expect from the iPhone, the Mac, and everything in between in the months to come. On Monday, Apple will kick off this year’s Worldwide Developers Conference with a keynote presentation where, like every year, the company’s top executives will take the stage to talk about their next big releases. 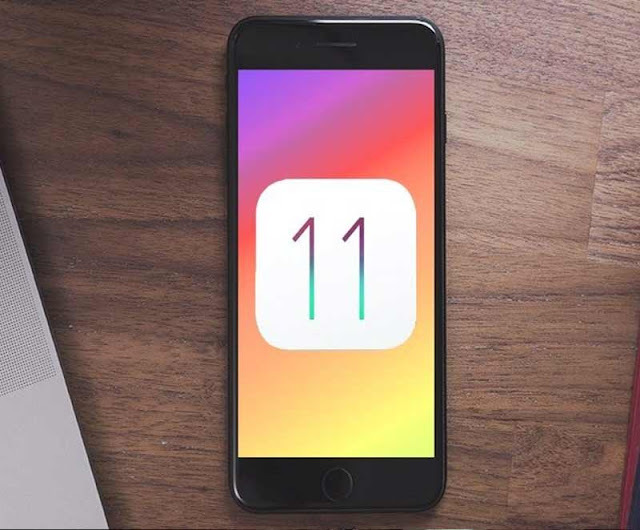 Today in this article we will be bringing 4 awesome features of iOS 11 that will come to your iPhone after WWDC launch. I use the Control Center more than I do the widgets on the Today screen. I swipe up every time I want to take a picture or use the calculator. I even use Control Center late at night when I’m on my iPhone and want to lock the portrait orientation of the screen. But then there are Control Center actions that I never take, like setting a timer. This didn’t use to be that big of a deal before iOS 10 when the Control Center was just one panel. Now, there are so many controls that I wish I could remove some of them, or at least re-arrange them. That way I could keep all my preferred controls (including the play button) on the same panel. In addition, I would also replace the Night Shift control, which takes up way to much space, with a control to turn on Low-Power Mode. That’s something that I need to turn on more often than Night Shift, which comes on automatically anyway. When tapping a link, some iOS apps give you a choice. Do you want to open that link in Safari or Chrome? Do you want to navigate to this destination using Apple Maps or Google Maps? My question is: Wouldn’t it be nice if iOS 11 would let you set your default apps to get rid of such prompts? It would eliminate an extra step. I’m surprised we haven’t gotten this option just yet, considering simplicity is what Apple is all about. The iPad got a productivity boost in iOS 9 with Slide Over, Split View, and Picture-in-Picture. But that was two years ago, and it seems like Apple has stopped adding new multitasking features, or even fine-tuning existing ones. This is terribly disappointing, especially when you think of all the missed opportunities for making the iPad Pro models even better. A simple, yet much-needed multitasking feature that iOS 11 can bring about is drag-and-drop in Split View. Visually, I’m already tempted to drag photos and documents from one app to another when they’re right next to each other. And other third-party apps have already figured out how this can be done. Readdle’s latest update makes it possible to drag-and-drop files between their productivity apps like Spark, Documents, and PDF Expert. When Steve Jobs announced FaceTime back in 2010, it was groundbreaking. Reliable video calls on your mobile device were the future. But FaceTime hasn’t been updated much since then. Now, Facebook and Google have mobile video-calling, too, with Facebook Messenger and Google Hangouts. While FaceTime continues to only support two-way video calling, Facebook Messenger lets you video call up to 50 people. Hopefully, iOS 11 will bring FaceTime up to speed and integrate group calling. Rumors have circulated that this much-needed feature is indeed coming to iOS, but obviously, nothing’s been confirmed. But if Apple does not launch support for group video calls soon, it’s possible that FaceTime will start losing its luster… kind of like Skype.